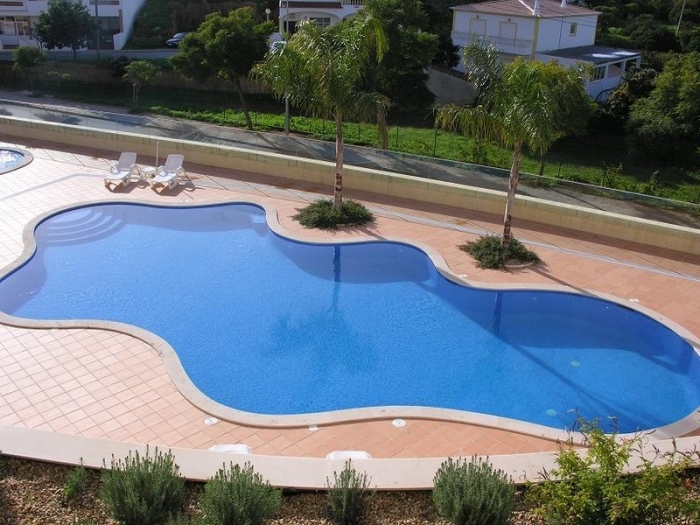 Quality 2 bed apartments in Lagos, heated pool, gym & Jacuzzi - Property for sale. Full Description: Very high quality new apartments in the centre of Lagos. Just 10 minutes walk to the marina and with all amenities close by including bars, shops, cafes, supermarkets and restaurants the location is perfect for holidays or permanent residence. There are 1 and 2 bedroom apartments available, all offering spacious accommodation with large private terraces. All 2 bed apartments come complete with 2 or 3 bathrooms, fully equipped kitchen, lounge/dining room and all benefit from air conditioning, double glazing, electric shutters, solar energy, alarm, central vacuum, satellite tv, video entry system as well as a remote entry allocated underground parking space. The condominium has lift access to all floors, has a large heated communal swimming pool with separate childrens pool, an indoor Jacuzzi and a professionally equipped gym. Also included in the price is decoration of the apartment including a feature lounge wall mural if required. These are very special apartments built to the very highest standards by a local family company who have been in the area for 30 years. Viewing is highly recommended. This listing has been viewed 770 times.